Entrepreneurship refers to the concept of developing and managing a business venture in order to gain profit by taking several risks in the corporate world. Simply put, entrepreneurship is the willingness to start a new business. Entrepreneurship has played a vital role in the economic development of the expanding global marketplace. An entrepreneur is someone who is willing to work for himself and by himself. There are several different meanings of the term entrepreneurship. An entrepreneur is commonly seen and perceived as an innovator. The skills required for successful entrepreneurship are innovation and ability to be creative to generate new ideas for a business venture. An entrepreneur must have the quality of leadership and a strong sense of unified teamwork to gain maximum benefit. The majority of the people may think that the term entrepreneurship has one single meaning. However, like mentioned earlier, the term is quite elastic and has a wide range of different meanings. The two most popular kinds of entrepreneurship are entrepreneurship of start-ups and entrepreneurship of small businesses. The advantage of having maximum control on the work you do can often help you gain maximum benefit. Being the authoritative figure at your workplace often leads to a lot of personal and professional benefits. Flexibility is one of the perks that people often look for in their professional careers and in entrepreneurship this advantage comes easily. One excellent aspect of entrepreneurship is that all entrepreneurs enjoy the advantage of coming up with diverse ideas that may also be unique in the global marketplace. Having a diverse range of ideas to choose from, according to your entrepreneurial vision, you can gain maximum benefit from the ideas you come up with. For any enthusiast in the corporate world, starting your own business may prove to be a remarkable idea. Having control over the work you do is something that many people long for in their career paths. 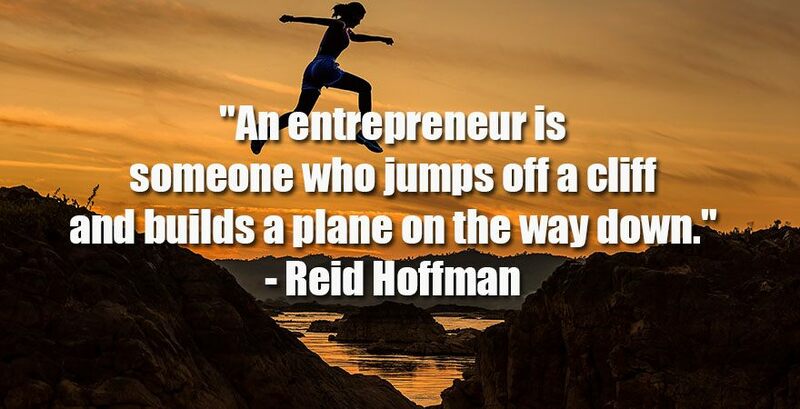 Therefore, entrepreneurship is a great career option for those willing to make their name in the corporate world. The search for quality leadership is an on-going process that is in practice since past few centuries. The need of a good leader is one of the factors that led to the evolution of entrepreneurship. Aside from this, there are several other factors that led to the beginning and increasing importance of entrepreneurship. With the advancement in communication amongst the countries and improvement in transportation, began the process of trading. This was when people became more and more independent which led to success in trade. It is also believed that the merchants and the traders were the first entrepreneurs. When more and more people began to settle in stable communities and live as a group, a drastic change was observed in their lifestyles. The fact that each tribe had an individual leader who specialised in one task cannot be overlooked. Each leader specialising in a particular task helped in speeding innovation and development of leadership quality in the individuals. The leadership quality is what makes the entrepreneurs so successful in entrepreneurship today. With the increasing trade and the formation and creation of markets all over the globe, the need for better ideas and leadership qualities became more and more important. The early entrepreneurs (traders and merchants) began to take more and more risks in trading to gain profit. However, with the increase in markets and the requirements of the people, innovation and trade were considered as an important aspect, and more and more people began to take risks by getting involved. This was when the first entrepreneurs started to think out of the box to cope up with the increasing competition and gain more profits. With the increasing population, came the need for choosing a career path and obtaining a job to become well settled. Due to lack of good jobs and the increase in the numbers of unworthy jobs more and more people wanted to opt for a career path that was independent. In the quest for having a stable job and a career, the majority of the people started to take maximum risks by starting their own small businesses in order to gain maximum benefits. Choosing a career path in order to gain profit for the long haul is the most important reason why people opt for entrepreneurship. Maintaining a reliable source of income is the best and the most important way to create a stable job. Keeping this in mind, being your own boss and having things in your control are what majority of the people desire. To fulfil this need, entrepreneurs start their own business to control their career. Most people working in the corporate world are unable to fulfil their desires. Having the command and the authority over the kind of work you want to do is a perk most entrepreneurs enjoy in their experience of successful entrepreneurship. The best aspect of being in the global marketplace as an entrepreneur is that you will harvest what you sow. This means that all the entrepreneurs will able to benefit from their hard work. The sole purpose of choosing entrepreneurship as a career path is to control your company, be an independent leader of your team and choose exactly what goes around in your workplace. Entrepreneurship provides entrepreneurs with the advantage of making the right decisions that will benefit them in the best possible way. This is an excellent opportunity to be independent and mould your career the way that any entrepreneur may prefer. With such advanced technology and the increasing demands of the market for more innovative ideas in the corporate world shaped many individuals into aspiring entrepreneurs. The sole purpose of providing the corporate world with more innovative ideas in hopes to gain profit led to the increase in new businesses. With maximum people involved in obtaining a respectable place in the corporate world, entrepreneurs became more and more creative by coming up with innovative ideas for the market. Even though most entrepreneurs had the main purpose to benefit themselves and their business, however, it made a huge impact on the expansion of the corporate world. Along with some other disciplines, the study of entrepreneurship is also paving its way as an important sub-discipline in many universities and colleges. This means that modern youth is extensively interested in pursuing entrepreneurship as a career path.Due to this reason, several courses have been introduced related to entrepreneurship. Like any other important and popular discipline, entrepreneurship is also growing rapidly. Today, more and more people are in favour of becoming independent in their professional careers and therefore, there are fewer criticisms to be faced by any aspiring entrepreneur. Living in the social media age sure has some advantages if you have chosen entrepreneurship as your career. Modern day entrepreneurs have the perk of expanding their businesses and reaching out to the target audience with the help of social media. This eventually provides the opportunity for any entrepreneur to pave his way into the global marketplace. Entrepreneurship in the modern world is something any independent individual with leadership quality would opt for. With the advent of social media age and advanced technologies, entrepreneurship became more complex. Even though there are several ideas and techniques that may be used during entrepreneurial ventures, this somehow does not make the life of an entrepreneur easy. With multiple marketing techniques, reaching out to the target audience became easy. However, it also increased the workload of an entrepreneur. With the demanding marketplace, the need of innovative ideas also increased along with the desire to be unique in your business venture. Therefore, in entrepreneurship, the many advantages that may be gained by an entrepreneur are also accompanied by a few disadvantages. Some of the aspiring entrepreneurs may have the advantage of being supported by their families when laying down the foundation for their entrepreneurial venture. However, today an independent entrepreneur is highly appreciated as entrepreneurs are considered as risk takers who are willing to reach the heights in the corporate world with their own hard work. The risk of starting everything from scratch is not the kind of risk everyone has the will and courage to take. Due to popular belief, entrepreneurship is considered to be an easy way out for people not in favour of working under or for someone else. In several ways, many aspects of this statement might be completely true. However, just like any other profession, being an entrepreneur and choosing entrepreneurship as a career may come with several challenges. There are multiple criticisms and challenges that every entrepreneur may face throughout their career. The stress of coming up with an innovative idea that has not been used in the market before always lingers on every entrepreneur. When choosing entrepreneurship as a career path, it is crystal clear that the only way to stay on top of the corporate world is by coming up with brand new ideas. Creativity is the key to success in entrepreneurship. However, with such a vast global marketplace, the ideas proposed are often monotonous which leads to the trouble of disapproval from the critics. This is the most common yet crucial challenge that is faced by every entrepreneur. One of the most crucial and problematic disadvantages is the challenge of being a start-up business in the market. This challenge often leads to the trouble of working late hours during the initial phase of your business. It is often a very crucial challenge to be the start-up business in the corporate world and then pave your way to the top. When facing dynamic and extensive competition, paving your way to the top may not be a very easy task! One of the perks of choosing entrepreneurship as your career is the independence that you get by being an entrepreneur. However, being in charge of a unified team and having complete control over the decisions you make comes with a lot of responsibility. This might prove to be very challenging for your business. Being the in charge means being responsible for anything that may go wrong in the business. This may prove to be very challenging for any entrepreneur. There are several risks that may come along with entrepreneurship. Like mentioned earlier, an entrepreneur is responsible for several things. The risks associated with adopting and implementing new and innovative ideas may sometimes result in failure. Keeping this in mind, the success or the downfall of a company depends on the entrepreneur and therefore, it is a highly challenging task to always make the right decision.